Israeli Defence Minister Ehud Barak’s latest gaffe reveals the geopolitical reality about Iranian nuclear technology. Washington DC – The classic definition of a campaign gaffe is when a politician inadvertently speaks a truth that will hurt him politically. The first George Bush committed a gaffe when he said that the idea that cutting taxes would increase government revenue was “voodoo economics”. Similarly, it was a gaffe when Barack Obama said that insecure right-wingers “cling” to religion and guns. In other words, a gaffe is a politically inconvenient truth. 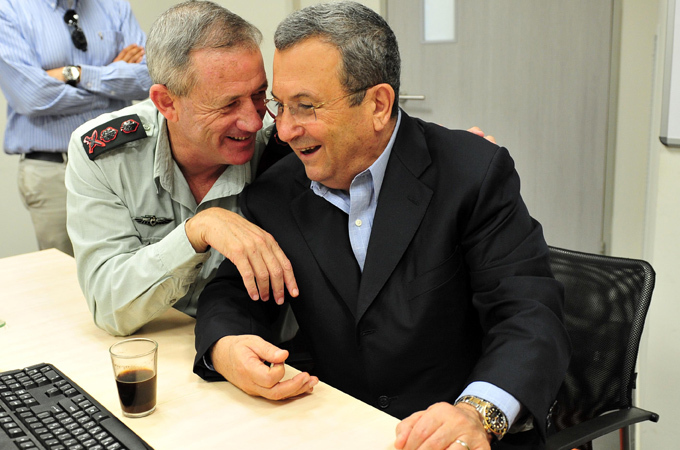 Israeli Defence Minister Ehud Barak gaffed big-time this week. In fact, this gaffe is even more colossal than when he said back in 1999 that if he were a stateless young Palestinian, he would “have joined one of the terror organisations”. But Barak’s remark this week is breathtaking in both its honesty and in its utter deviation from an Israeli government line that has not only been sold to the Israeli people, but also to the United States government – especially to Congress, where anything from Bibi Netanyahu’s office is treated as gospel. Appearing on PBS’ Charlie Rose, Barak was asked if he would want nuclear weapons if he were an Iranian government minister. He said he probably would. BARAK: Probably, probably. I know it’s not – I mean I don’t delude myself that they are doing it just because of Israel. They look around, they see the Indians are nuclear, the Chinese are nuclear, Pakistan is nuclear, not to mention the Russians. Barak won’t “delude” himself with the belief that Iran’s nuclear weapon programme is “just because of Israel”. Over and over again, Israeli officials have said that the Iranian government is insane with anti-Semitism, so insane that it would joyfully nuke Israel without any regard for the fact that Israel has 200 land, air and sea-based missiles that could kill millions of Iranians. They have cited as evidence Mahmoud Ahmadinejad’s Holocaust denial, essentially arguing that it proves that Iran’s goal is another Holocaust. Netanyahu himself has said that this is 1938 or 1942, and Jews are facing a threat as direct and demonic as Hitler’s. They have pointed to Ahmadinejad’s and the mullahs’ hatred for Israel and support for anti-Israel terrorist groups as proof that Iran would commit national suicide to destroy Israel, becoming, in fact, the first nation in history to commit suicide in order to destroy another. But, we are told, Iranians are Shia fanatics who prefer death to life – and especially the death of Jews (not including the Jews who live in Iran, however). Accordingly, the leading advocates for “crippling sanctions” against Iran and for keeping the “bomb Iran” option “on the table” have been the right-wing “pro-Israel” organisations led by AIPAC, its congressional cutouts, and, in the blogosphere,Commentary, which is central command headquarters for the “Bomb Iran” movement. That is because Iranian nuclear weapons are portrayed, first and foremost, as an “existential threat” to Israel. Only later do the “bomb Iran” advocates get around to mentioning the possible threat to southern Europe, or that Iran might share its nuclear technology with terror groups. That is why Barak’s statement is such good news. With one honest comment, he demonstrated that the hysteria surrounding an Iranian bomb is, in fact, not about an “existential threat” to Israel, but about two countries competing for regional hegemony. Israelis don’t want Iran to have a nuclear weapon because, if it does, Israel will not be free to do whatever it wants to in the Middle East, whenever it wants to. As for Iran, the Washington Post reported this week that support for nuclear development is universal, with the Green Movement and supporters of Ahmadinejad united in the belief that Iran has the same right to nuclear development that other countries have. The Iranian government knows that going nuclear makes it a bigger player (a more meddlesome one, no doubt) in the region, which is far from desirable but which hardly merits launching a war. This is not to say that the world community should not do what it can to deter Iran from achieving nuclear bombs. Another nuclear armed country – especially one run by a radical, terror-supporting bunch of clerics – is the last thing the world needs. But the way to deter Iran is to negotiate with it, not to bomb it or inflict “crippling sanctions” on its people either. Bombing should be off the table; diplomacy should be on it. As for Israel, it has every right to be concerned about a nuclear-armed Iran, even with its own huge nuclear arsenal. But it does not have the right to steamroll Americans into supporting (or waging) a war that would jeopardise all our vital interests in the Middle East – from our military and civilian personnel to our oil supply. Israel’s primary concern, rightly, is its own survival. But an Iranian bomb does not threaten Israel’s survival nearly as much as the war Netanyahu might launch ostensibly to deter it. Another ex-Mossad chief, Ephraim Halevy, says that Iran does not present an existential threat to Israel. “The State of Israel cannot be destroyed [but] an attack on Iran could affect not only Israel, but the entire region for 100 years,” he warns. And now we have Defence Minister Ehud Barak’s admission that the Israeli campaign to rush the US and Israel itself into war is based on, at best, hype and at worst, lies. Just like Iraq. Are we really going to fall for this a second time? I don’t think so because, to put it simply, we aren’t that stupid. As that old adage goes: Fool me once, shame on you. Fool me twice, shame on me. This entry was posted on November 22, 2011 at 8:37 am	and is filed under News and Politic. You can follow any responses to this entry through the RSS 2.0 feed. Both comments and pings are currently closed.